I’m so excited to be sharing the wood rack that makes a cute farmers market display. I’ve made it as part of the ScotchBlue™ Painter’s Tape and The Home Depot’s, “Get It, Got It, Go” Summer Blog Hop hosted by Centsational Girl. 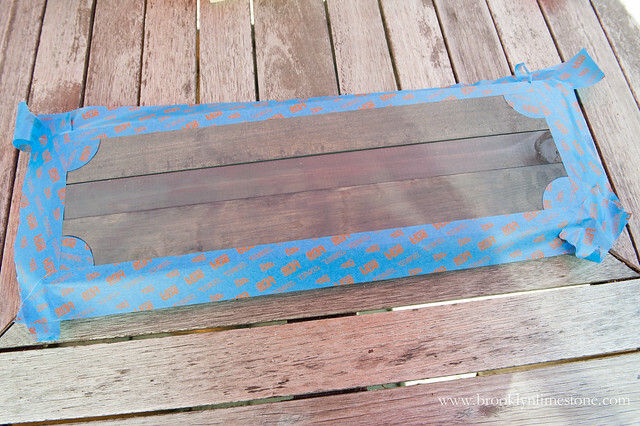 All of the projects featured were completed with ScotchBlue™ Painter’s Tape and supplies purchased at The Home Depot so I know they will provide lots of inspiration to everyone who enjoys a good DIY project. Like most city dwellers, I’m short on space so I like to make the most of vertical space I do have whenever possible. Nowhere is that more true than in the backyard! 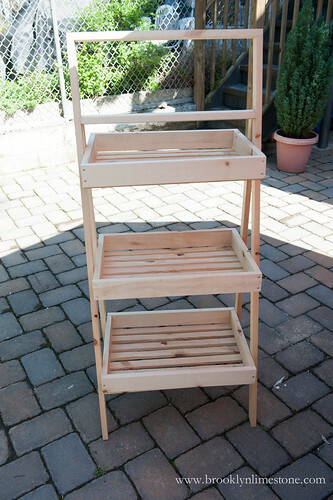 When the weather turned warmer, I cooked up the idea to build a farmers market inspired wood rack to display plants, organize garden doodads and use for party displays. I’m so happy with how it turned out and am excited to share it with you. The build was simple and can most easily be broken down into 3 parts: trays, frame, and signage. 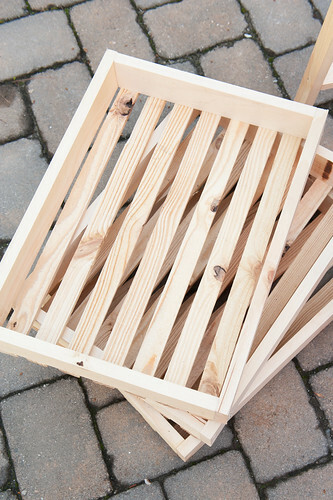 After making all of my cuts, I built 3 trays by screwing the tray frame together and then screwing in the slats at the bottom. Once that was complete, I built an A frame to support the trays via rungs and scrap wood chucks along with a space at the top for a farmers market inspired sign. After building each part separately I gave the entire piece a rough coat of the stain to instantly transform the very fresh wood into something with a bit more character. 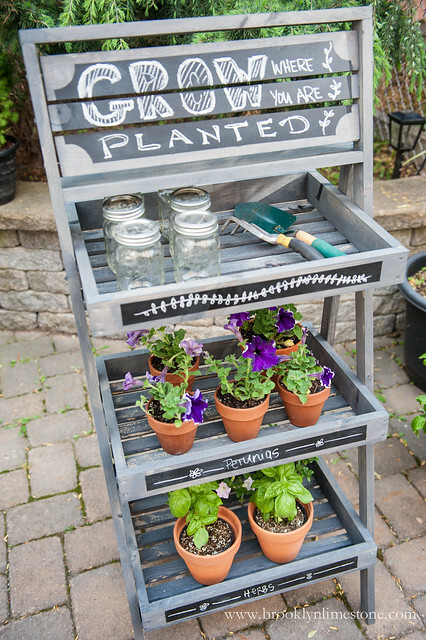 Once that was dry, it was time to add a little charm and function to this wood rack with the chalkboard paint. 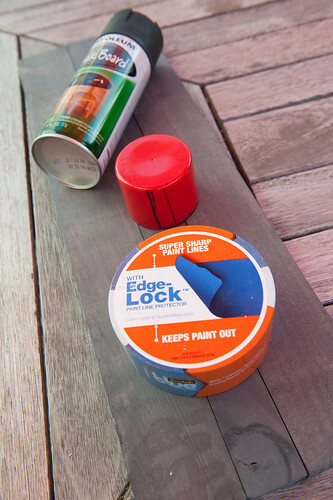 Using the ScotchBlue™ Painter’s Tape for Delicate Surfaces with Edge-Lock™ Paint Line Protector, I taped of a rectangular shape on both the front of the trays as well as the 3 planks I was using for my signage. To add a little more visual interest, I cut 4 circular shapes from the ScotchBlue™ Painter’s Tape and placed them at the edges of the rectangle. 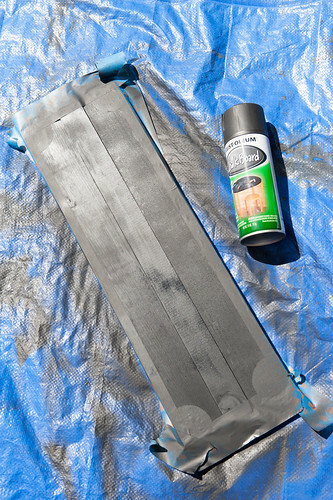 I then gave each uncovered area a few light coats of the chalkboard paint and let dry for a few moments before removing the tape and allowing the paint to cure completely. Finally, I laid the trays in their designated spots on the wood rack frame and nailed the sign boards in at the top and voila, the build was complete. 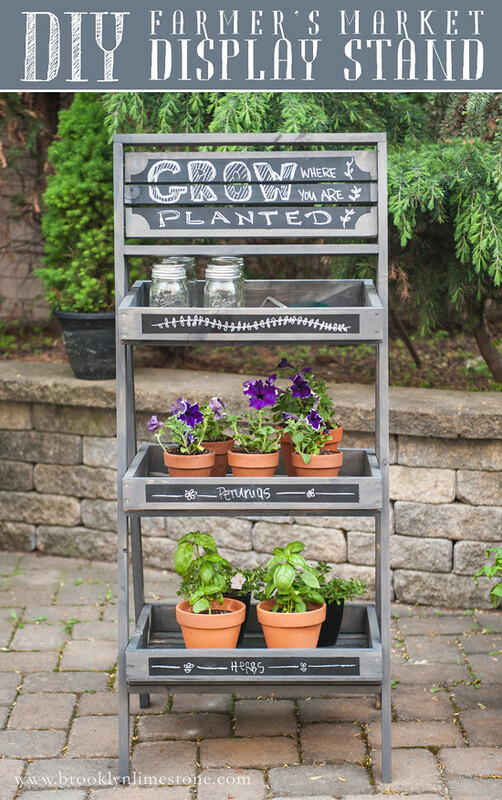 Not only does it work beautifully as a plant stand but it’s great as a garden party bar stand. I think I’ll be getting quite a lot of use out of this little project. Want more inspiration?  Stop by to see some of the other blog hoppers projects including Domestically Speaking, 320 Sycamore, Dukes and Duchesses and of course Centsational Girl herself! 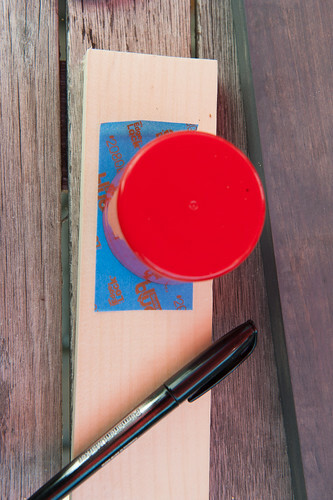 disclosure: I am proud to be a 3M- sponsored blogger, and, as part of my responsibilities, I get the opportunity to evaluate new products from ScotchBlue™ Painter's Tape. Opinions are my own and additional product used in the project were selected by me. For more inspiration, follow ScotchBlue™ Painter’s Tape on facebook, twitter, and pinterest, and follow The Home Depot on facebook, twitter, and pinterest! I never really thought of that use but this would work really well for pet supplies! Good thinking. Love this idea. I really think the chalkboard paint was a brilliant idea and will allow you to constantly update this piece for years to come. Well done! Adorable! I love useful pieces for the garden. Count me in! We just got our Patio installed, ready to use this homedepot card to add some sweet touches. 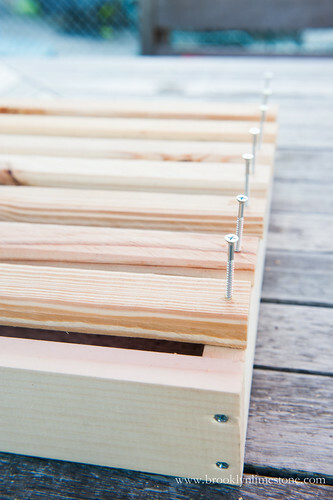 I would put it towards fixing my raised bed boxes! Send my hubby to HD with my wishlist. Super cute idea! 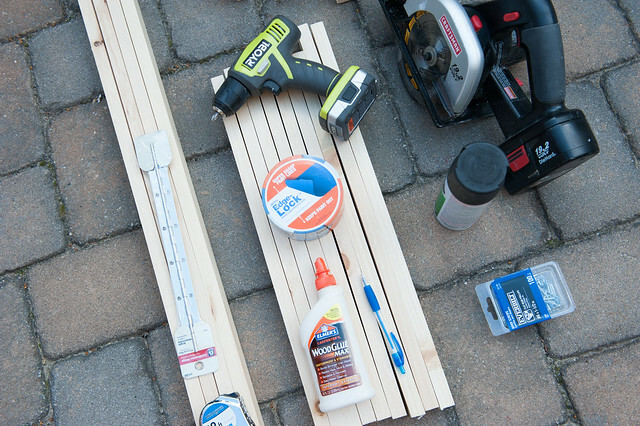 You always have the best DIY projects--and results. If I wont the gift card I'd probably buy something exciting like paint. I'm getting the itch to repaint my office. Again. What would I do with $50? Well, there is a huge list! finishing up kitchen remodel, framing out doorways, redo master closet. The list is endless but that is m agenda for the next year. I love how easy this build looks. Super cute too! My boys' room needs new paint! Would love to win the Home Depot gift card. I spend a lot of time (and money!!) there. Love this little stand. It would look so gorgeous with ferns as well against the black...great job!! I love DIY and making things from scratch, this past winter I made my own outdoor sectional and it was so satisfying to finish it and be able to show my friends I made it all by myself.....it's my de-stressor while my husband was deployed, I just love making new things. He comes home next weekend and I can't wait to show him the lounge and see what he says about it. I'd use the giftcard for some new paint. Ooh, we are moving soon and I know I'll have 100 uses for this gift card! I just love reading your blog.. Your so creative, I am jealous of all your creative diversity. We've been building our own house for a couple of years now. Home Depot gift cards are always a big help. Build shelves in the garage! I want to get new paint for our living room. I would use it for some new gardening tools. The ones I have are okay but I really want some more high quality ones. I would use it towards appliances and maybe some gardening materials. Funny thing is that I was in Home Depot today buying paint and Blue tape. So far this summer I have painted the patio furniture, the railing post caps, and an indoor light fixture. I am working on a bedroom at the moment. Hope to find a dresser to repaint/update. I think I would purchase a saw. Love this! 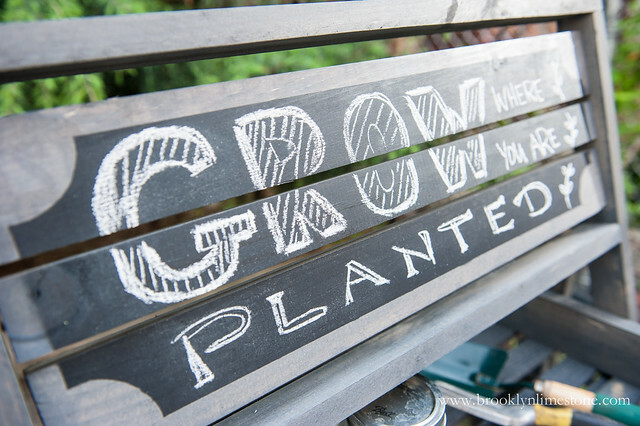 I was wondering if you still used your herb garden that you made a few years ago? I've always planned to make one. No, I'm not using it anymore b/c it toppled over during Hurricane Sandy and some of the pots broke. It would be easy enough to make more (just drilling a hole to hang) but I figured it was a good opportunity to try something different this year. I would put it towards a new saw. Thank You for the chance to win! 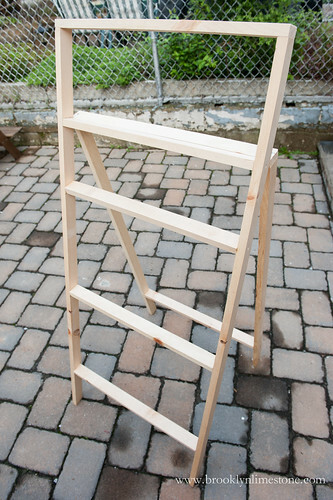 It looks so easy to build so I want to start it right now :) Look great and may be used for storage a lot of things. Great giveaway! I would buy gardening supplies. It looks fantastic! I love how you will be able to change its use with all the chalkboards...I'm getting married in the countryside, I think this would look beautiful to display all the ceremony programs or favours for guests, I love it! So if I won, I might try to build one myself (oh Dear...that would be a first!)! I would save it to buy new plants for my fall garden once the months of 100+ temps here in Tucson take out what's left of my spring garden. Sweet! I would use the gift certificate to pick up some paint supplies for our newborn daughter's room! I'd use it for supplies for re-doing my kitchen floors. Oh my goodness! This is so smart! I would use the card to make some more DIY headboards. Made a couple and want to make more! I would buy my dad a Father's Day gift! I would buy some paint for my livingroom! I would love to powerwash my deck! We are just about to close on our first house so this would be amazing to get some paint! 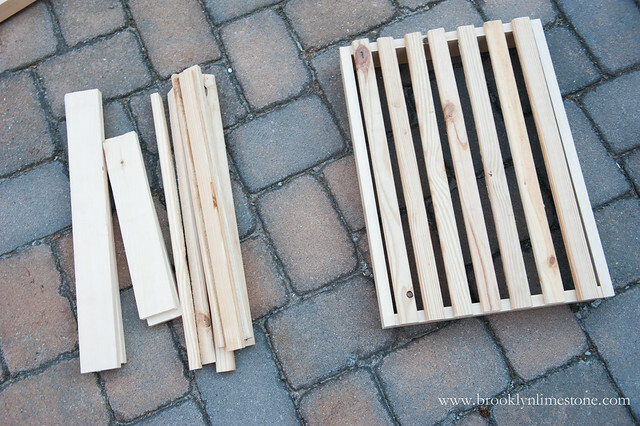 I would use the $50 to buy some bark for a little section of our backyard that I want to put my kids slide on :) Thank you for the wonderful giveaway. New cork flooring for my kids playroom! I would love to buy some bulbs and pots! I would put it towards flooring for my kitchen. Put it towards a nail gun. Paint gun to give new life to old furniture! I wish I twittered or is that tweeted?!! Anyway love visiting your blog. And HD, should have bought stock many many years ago!! :) Gardening is my downfall or my thing. I love this--might be off to HD this morning to get my supplies for a weekend project! I would buy plants for the garden. I'd take that $50 and buy some flowers for my garden. Thank You. I would buy some supplies to do faux board and batten in my bathroom. This is awesome. 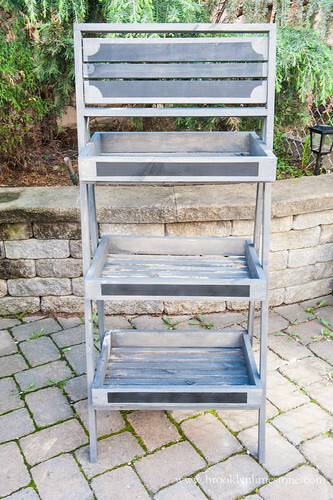 I think this would be perfect for storage/plants on our deck. I have a pot garden too & this would really keep things organized in a stylish way. Only thing I would add would be some casters to the bottom for easy moving. Thats a great idea. If you make one of your own, I hope you'll drop me a photo. I'd love to see.